While we were working on Mom’s flower bed on Sunday and going in and out of the garage, I snapped a photo of this. 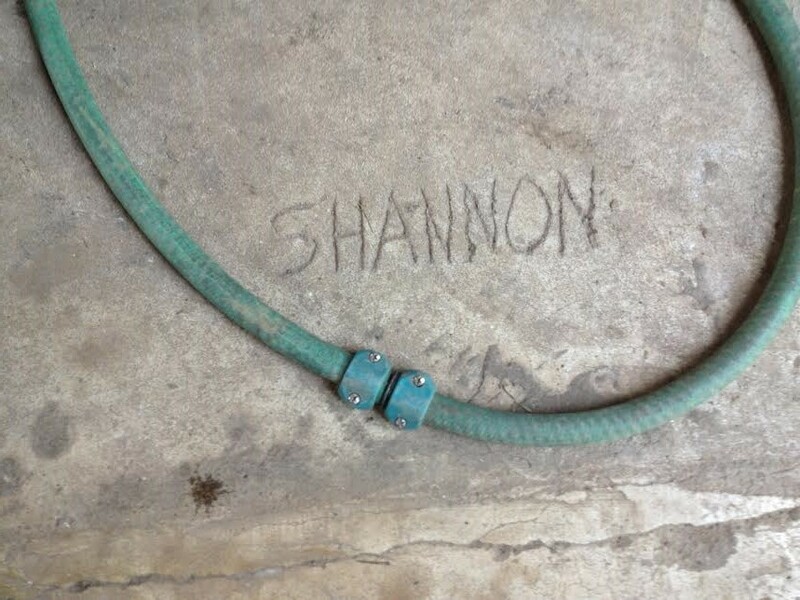 It’s my name etched in the concrete of the garage. I’m not sure what year it was done, but I believe it was mid-80s because I was very small when the garage was built. And while the concrete was being poured and smoothed, my dad called me over and I watched as he took a rusty nail and used it to write my name in the wet cement.